Visually impaired artisan gives back to her community by opening Beaverton shop. Carina Comer has dreamed of opening a bakery since she was a little girl, finding the tactile joy of burying her fingers in chocolate chips, or delighting in the smell and taste of traditional Swedish pastries. 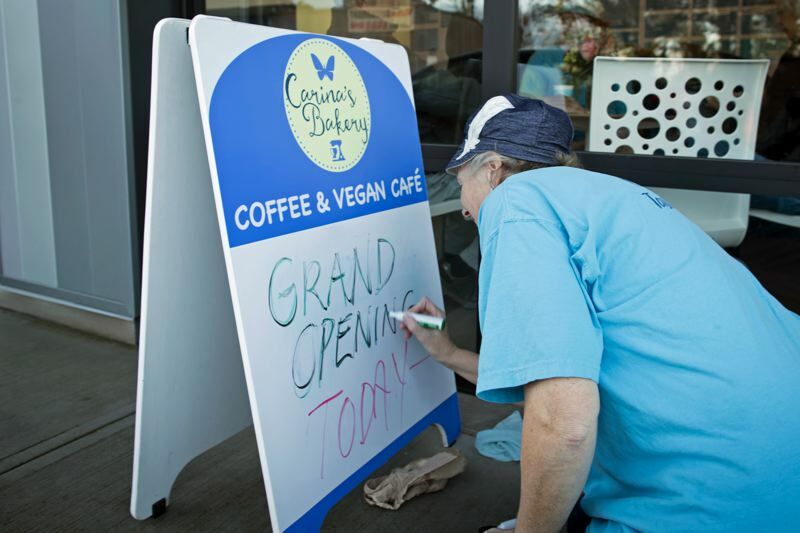 Last month, Comer celebrated a dream come true as she cut the ribbon at Carina's Bakery — her first brick-and-mortar shop — all despite, or perhaps galvanized by, the hurdles of being legally blind. Carina's Bakery, 4725 S.W. Lombard Ave. in Beaverton, is at the confluence of Comer's Swedish heritage, her passion for good food and a mission to empower other people with physical disabilities. Complications from a brain tumor left Comer, now 25, mostly blind when she was only 9 months old, and several other tumors since then have further affected her vision. "But that's never stopped me," Comer said on Friday, "I've always had big goals and people to help me get there." 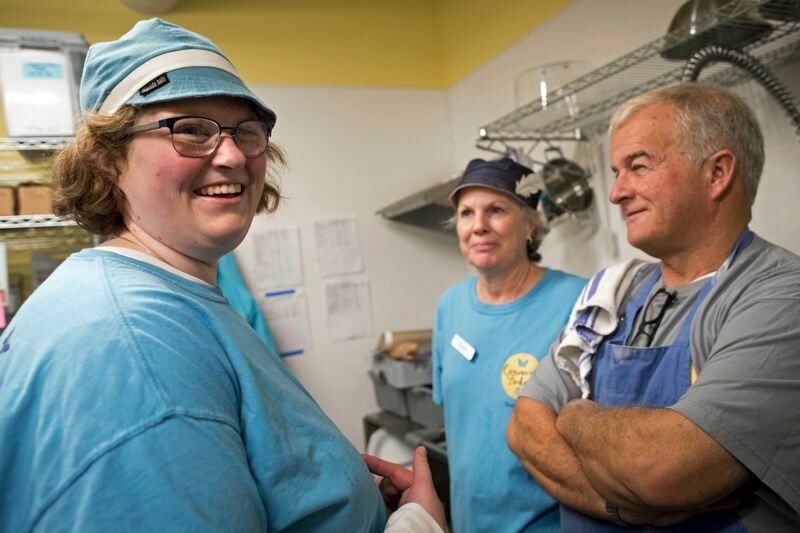 Comer has employed four people at her bakery, three of whom are visually impaired or blind. "I've had challenges getting where I want in a regular kind of career and I wanted to make that a little easier for people like me," Comer said. "We employ people with all different physical challenges," Comer added, "We want to give them jobs they might not otherwise have, but if they are driven and want to work, we'll find some way to incorporate them into the workplace." For Comer, baking delicious treats and giving back to her community have long gone hand in hand. "She used to go around with a cart and a tricycle selling baked goods in the neighborhood," said her father, Martin Comer. Carina's parents, Martin and Karin Comer, were visiting from Connecticut, where Carina originally hails from, to help her with the grand opening. From where he stood washing dishes in the bakery kitchen, Martin pointed to a wooden sign that hangs on the front wall — the very same that used to hang off the back of her tricycle. The profits from her tricycle-powered business, which she then called Butterfly Bakery, were used to buy Christmas gifts, which she presented to patients at Massachusetts General Hospital in Boston, where she had received radiation treatment herself. Each Christmas also presented a new opportunity to break their own record in baking vast quantities of pastries from their home kitchen. According to Karin, she and Carina baked 11,000 cookies in one season, to be gifted to friends and neighbors. "Especially as people helped us as a family, we wanted to thank them, and what better way than from the heart to the stomach," Karin said. Ikea light fixtures cast a cheery light on the blue and yellow walls of Carina's Oregon bakery. An assortment of Scandinavian-inspired goodies, such as cardamom coffeecake, "pepparkakor" shortbread — a Swedish gingersnap — and other treats tempt the sweet tooth, while a full espresso bar serving Sisters Coffee Company rounds off a menu complete with savory snacks. Though — as her mother loves to remind her — she grew up using pounds of butter, everything in Carina's Bakery is vegan. "Kneading dough or mixing cookies is relaxing. And then it's a way to express myself through flavor and then I like the challenge of making things vegan because I get to use, like, science and figure out, OK, how can I make this just as good?" To top the already decadent cake that is this dining destination, visitors to the Beaverton bakery can meet Carina's guide dog, Sutter, and his friend Ribbon, who guides one of Carina's employees. The two pups share a special spot right under the front counter where a large window allows customers to greet them as they people-watch. Carina's Bakery was formerly called Flourish Baking, "because of my mission to help people with physical challenges to be empowered and to develop and thrive which is what flourish means. And I also like butterflies and they kind of coincided together," Comer said. She changed the name after discovering that a vegan bakery in New York had already taken it, but the logo for Carina's Bakery still sports a butterfly, an enduring symbol of strength for Carina, with the addition of a stand-mixer at the bottom, reminiscent of the days when Carina made cookies in her Connecticut home kitchen, to later be shared as a gift of thanks.